The University and its clinical facilities will be closed Friday, April 19, 2019 and Monday, April 22, 2019. Salus University continues a legacy that began 100 years ago in Philadelphia when our founding College, the Pennsylvania College of Optometry (PCO), was established. Today the University is a diversified, globally recognized, health professions university that offers a wide range of accredited post-graduate and professional degree programs. Currently, the University has more than 1,200 students and more than 14,000 alumni worldwide. 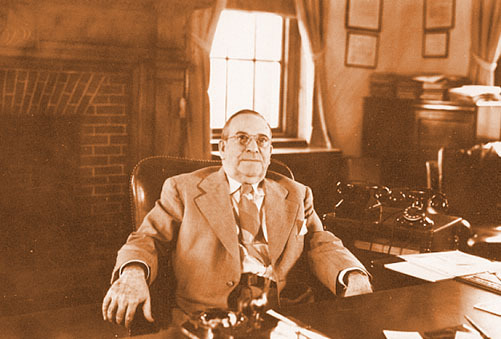 PCO founder, Dr. Albert Fitch, was considered a visionary by his peers and a revolutionary by others in the healthcare community. 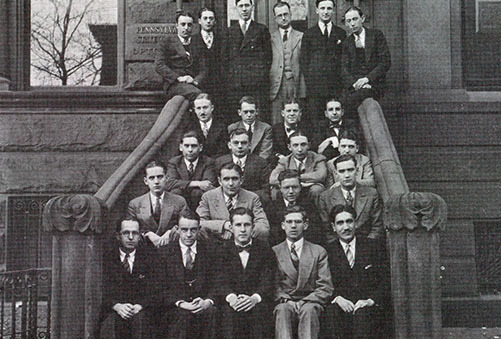 His goal in establishing the Pennsylvania State College of Optometry (our original name) as a nonprofit educational institution in 1919 was to create a professional school of optometry comparable to those of medicine and dentistry. His desire was to “obtain a higher standard of proficiency and to enlighten the public mind on the subject and science of optometry and its relationship to the conservation of vision.” That desire to set and maintain a higher standard of education is evident today at Salus University, where the institution continues to break new ground with creative and innovative curricula for all of its degree programs. The name Salus University may still be young, however, the history and reputation of our founding institution - the Pennsylvania College of Optometry - is known and respected around the world. Changes in the nation’s healthcare delivery system are significantly altering every facet of our diversified medical and health science professions. Central to the Salus mission is keeping pace with the rapidly expanding healthcare issues, setting national trends and standards and being the leader in providing the nation’s top health science, education and rehabilitation professionals. Supreme Court of Pennsylvania rules that optometry is not a branch of medicine and will not be regulated by a medical board composed of physicians. A charter is granted to the Pennsylvania College of Optometrists signing off on the Pennsylvania Optometry Bill authorizing the licensing of optometrists by the commonwealth. Dr. Albert Fitch fights to legitimize a new profession. The medical establishment opposes optometrists serving as primary vision care providers. His efforts set the stage for professional change. 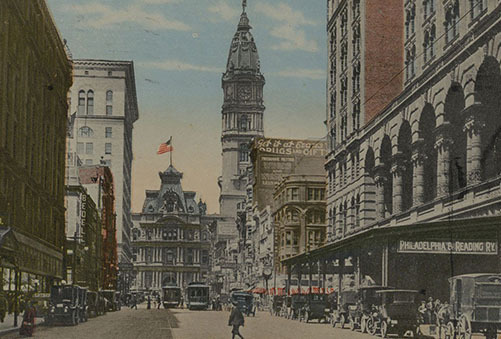 The Pennsylvania State College of Optometry (PSCO) opens its doors on October 6, 1919 at 1809 Spring Garden Street in Philadelphia. The entering class of 33 students is the largest freshman class to enter any school or college of optometry up to that time. The program courses are organized as a three-year night school taught by a faculty of six. The curriculum is based on biological sciences, unusual for that time. Tuition is set at $150 for the academic year. The following year, both a three-year night class and a two-year day class are accepted for admission. The Pennsylvania College of Optometrists, Pennsylvania State Optical Society and Philadelphia Society of Optometrists hold mass meetings and approve the founding of a college of optometry.